The Raptor and Lightning II are known as "fifth-generation" aircraft because of their stealth, sensors and other capabilities. 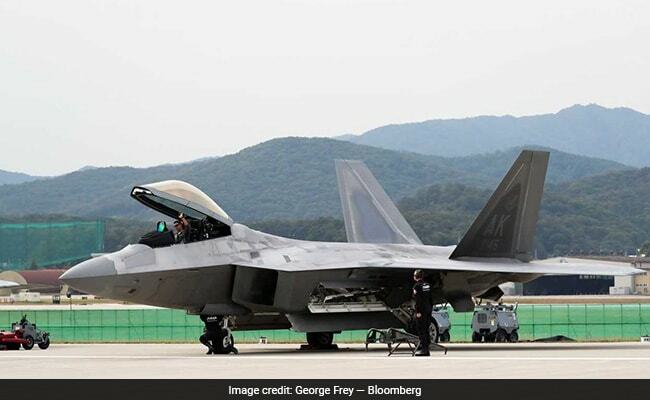 A U.S. Air Force F-22 Raptor at the Seoul International Aerospace & Defense Exhibition in 2017. With the F-22 Raptor and the F-35 Lightning II, the U.S. has fielded two of the world's most sophisticated, maneuverable and stealthy fighter jets. They both function as airborne shepherds of America's flock of older combat aircraft, using their state-of-the-art systems to communicate threats and targets on the ground and in the air. Unfortunately, they have a difficult time communicating with each other.The F-22, originally designed as an air superiority fighter, dates to the mid-1980s and was created to dispense near-invisible lethality against Soviet targets before the enemy knew it was there. The plane's requirements for maximum stealth extended to its communications systems, since they can betray an aircraft's location. But budget considerations and initial optimism about a post-Cold War world cut short its production. In 2009, then-Defense Secretary Robert Gates ended the program. And that's where the problem begins. Had the Air Force gotten all the F-22s it wanted-more than double the 183 or so it has-integration of its systems with another fleet of "fifth generation" fighters wouldn't have been as critical. The F-22's Intra-Flight Data Link (IFDL) is a much older system than the Tactical Link 16 system used on the newer F-35. While the F-22's IFDL protocol can receive data from the F-35 and other allied aircraft, such as the F-16 and Eurofighter Typhoon, it can't transmit the vast array of situational data it collects. In a recent story on the situation, Air Force Magazine likened U.S. combat communications among the various aircraft to "a kind of Tower of Babel." And the necessary modifications haven't been fast in coming. "There's a lot of improvements that could have been done and should have been done 15 years ago," said David Rockwell, a senior defense electronics analyst with Teal Group. "The Air Force postponed a lot of things for [the] F-22." Both the Raptor and Lightning II are known as "fifth-generation" aircraft because of their stealth, sensors and other capabilities. Jets such as the Air Forces's F-15 and F-16 and the Navy's F/A-18 are "fourth-generation." Russia and China also are fielding and refining their fifth-generation fighters, the Su-57 and J-31, respectively. The U.S. fifth-generation jets are adept at disseminating a more detailed view of the battle space to older aircraft, increasing the former's "survivability" in combat. The F-35 fleet also has what's called a multifunction advanced data link (MADL) to gather and share information with other F-35s. This fusion of sensor data-and the ability to distribute it with allied aircraft-allows the F-35 to serve as a "quarterback" during a conflict. 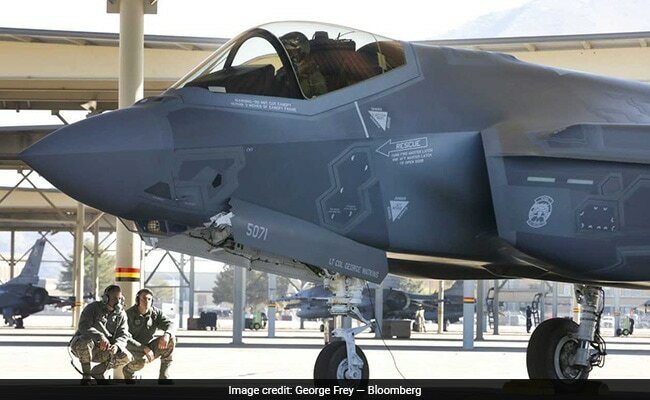 "You hear it from the [F-15) Eagles and the Marine Corps," said Billie Flynn, an F-35 test pilot at Lockheed Martin Corp., which also made the F-22. "We're keeping our own forces much more engaged and boosting survivability." "The thing that's great about having Link 16 and MADL onboard and the sensor fusion is the amount of situational awareness the pilot has," Lt. Col. George Watkins, a squadron commander, said in an Air Force statement last year. "I can see the whole war, and where all the other players are, from a god's-eye view. That makes me a lot more effective." "We don't have data anymore," said Flynn, a former squadron commander for the Royal Canadian Air Force. "We have knowledge." An F-35A fighter jet at Hill Air Force Base in Utah as seen in 2016. Keeping the F-22 relevant has been a 15-year effort. The Air Force established a modernization program in 2003, with 10 unique upgrades and enhancements. To date, the program has awarded contracts totaling as much as $12.9 billion, according to a Defense Department Inspector General audit on F-22 modernization released last month. The IG criticized the Air Force's software development and contracting strategies. "We're always working on ways to improve connectivity wherever the mission requires additional information sharing," an Air Force spokesman, Major Ken Scholz, said in an email. "As well, the F-35A and F-22 are very complementary assets, particularly in highly contested areas." Still, the Air Force doesn't plan to fix the communications problem until 2023, when the F-22 fleet is scheduled to get the same Tac Link 16 system F-35s currently have. While these two fighters have a ways to go until they share the same communications and sensor systems, there's at least one thing they already have in common: they're budget busters. The Raptor is the most expensive aircraft in the U.S. arsenal, in terms of cost per flight hour; the program ended up costing taxpayers more than $330 million per unit. Operating and maintenance costs have grown daunting for the F-35 as well. The Air Force may need to cut almost 600 from its planned order of 1,763 if upkeep costs can't be lowered by more than a third. It also faces annual maintenance costs of almost $4 billion for a fighter fleet that's likely to top $1 trillion in sustainment through 2070 across the three service branches. Meanwhile, Lockheed and others are working on near-term fixes for the F-22's communications problems. Longer term, the Air Force would like to find a way to extend the existing stealth profile to its upgraded communications and radar systems, Rockwell said. "There could already be a partial classified solution in the short-term," he said. "This is exactly the sort of thing that goes classified because you don't want to put out that the F-22 can interact with other things."